Looking for this new feature soon! Only took 8 years and they are leaving Salesforce Classic out in the cold. How much flexibility will this allow? Will I be able to have a dashboard that looks something like this? is this available also on the non Lightning Salesforce version? currently Lightning is not stable, and we do not want to start using it, but we definately need more columns on Dashboards. There is definitely room for at least 4 across the first row. At least that change should have been made by now. We should not have to wait until Winter 16. That's a great news! I was previously using the pivot table on Excel and there is no limitation on the number of column.. When would it be implemented ? And could you give us the link to test on pre-release versions ? I have created a Winter '16 org, and would like to know what updates have been made to the reporting/dashboard functionality... is there a certain link you can point me to? The Salesforce Analytics Product team is thrilled to announce that we will be upgrading our Dashboard Engine in the coming release. Now you can build even more beautiful dashboards with vibrant new charts and a flexible grid based layout. Try it out on pre-release and let us know your feedback. You will have 9 columns in your dashboard with the Winter '16 release. 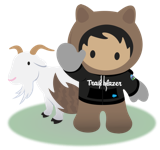 There are a lot of cool features rolling out with the Winter '16 release which will help your sales folks increase their productivity 5X times. Please feel to reach out to me for more information. We have created an app for showing more than 3 reports in the dashboard.It allows upto 10 reports to be shown on the Dashboard and add it to your home page layout. It is also compatible with salesforce 1. Please leave your valuable comments , so that we can improve on it. Has there been any updates since 2013 as to when this is likely to be updated Marko? This seems to be a recurring show stopper for most of my projects. It's great that we can use tablets, phones and other mobile devises, but without the data to display these options are a bit useless.